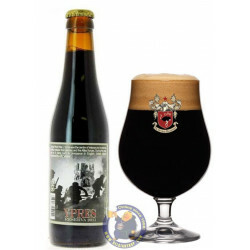 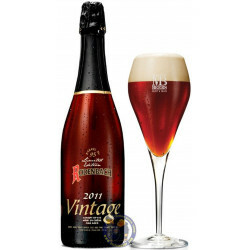 The Famous Duchesse de Bourgogne 6.2 ("Duchess of Burgundy") is produced by Verhaeghe brewery and delivered worldwide. 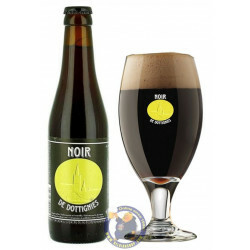 "Duchesse de Bourgogne " is a mixed fermentation beer. 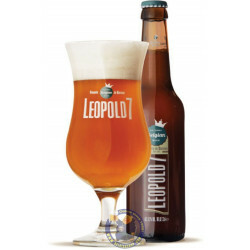 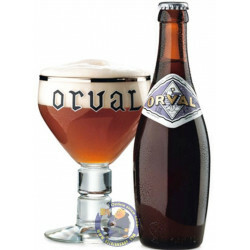 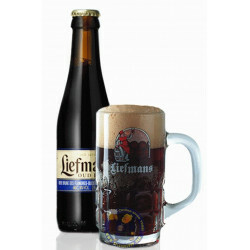 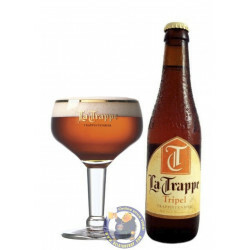 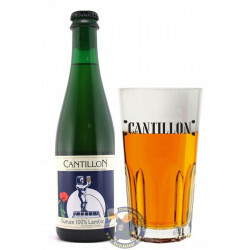 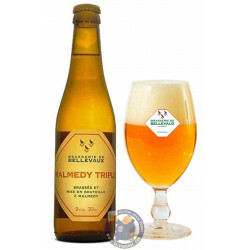 It is a fruity sweet beer with a pleasant fresh taste. 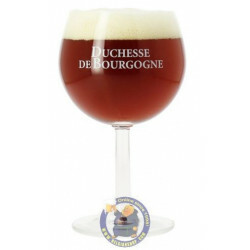 "Duchesse de Bourgogne" is brewed with deeply roasted malts and bitter hops. 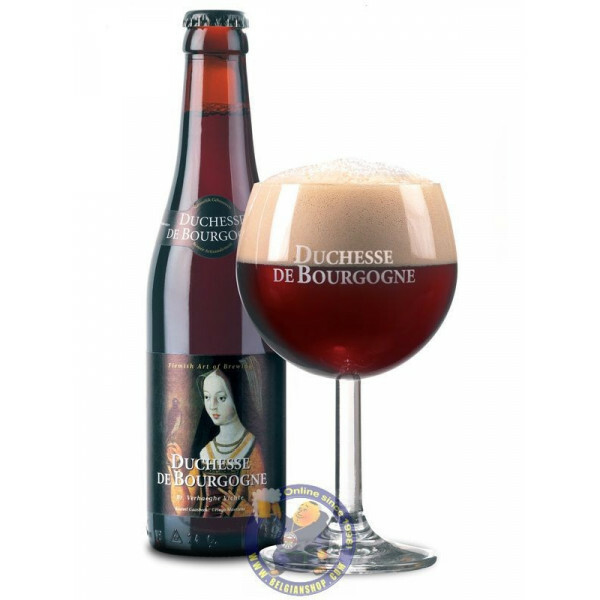 After the main fermentation and secondary fermentation, the "Duchesse de Bougogne" matures for several months in tapered tanks. 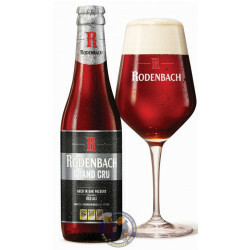 The tannins in the oak wood give the "Duchess of Burgundy" its fruity character. 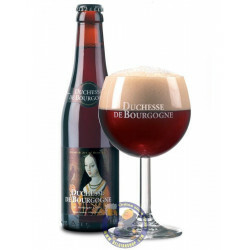 The "Duchesse de Bourgogne" has a full, sweet and fresh taste: a ruby red jewel of 6.2% alcohol volume which is preferably used in a chalice-shaped glass between 8 and 12 ° C.
Lena B. from Thetford Center bought this product recently.